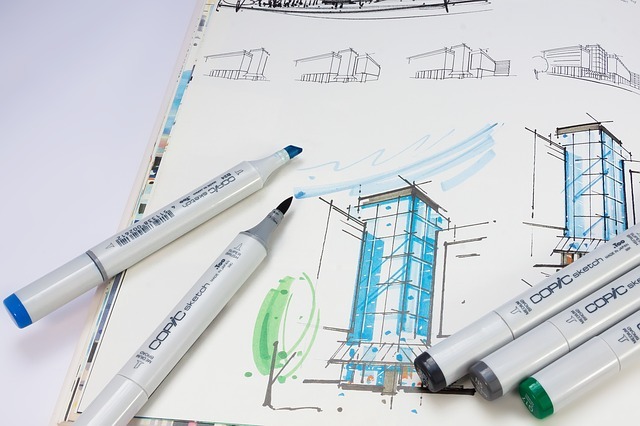 Copic markers are excellent for shading, blending, and exceptional vibrant color. They also resist picking up other colors when used for color over inking, which is why they are so prized in comics. However, they are notorious for bleeding through paper, hence it can be difficult to find a sketchbook suitable for Copic use. A good sketchbook for Copic markers needs to have pages that are smooth (e.g not textured), considerably white - for color fidelity and thick enough so the ink won't bleed through. Given the criteria above for best sketchbooks for Copic marker, here are some of the best sketchbooks that we found. Who better to make a sketchbook for Copic markers than the Copic company themselves? 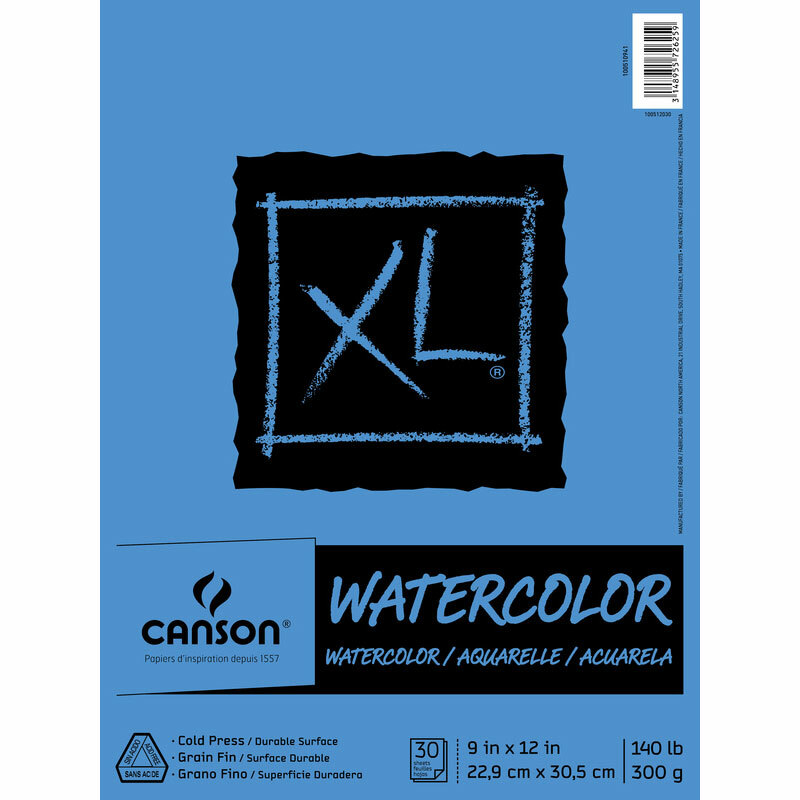 The Copic Markers SKBK9X12 Sketch Book is a large 9 x 12 inch sketchbook with spiral bound. 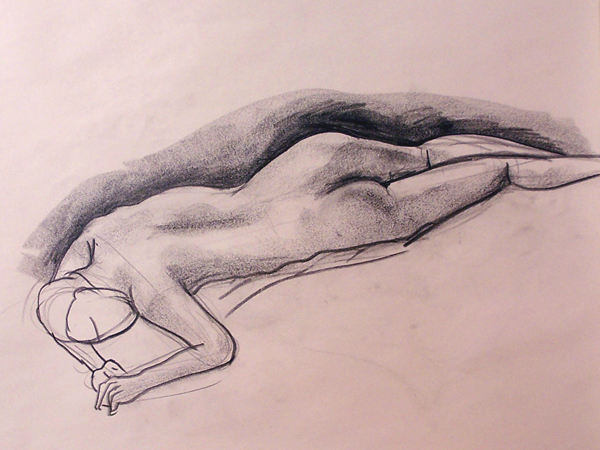 It lays flat and is easy to draw on. The 70-pound marker paper is bleed resistant and designed for excellent blending of Copic markers. 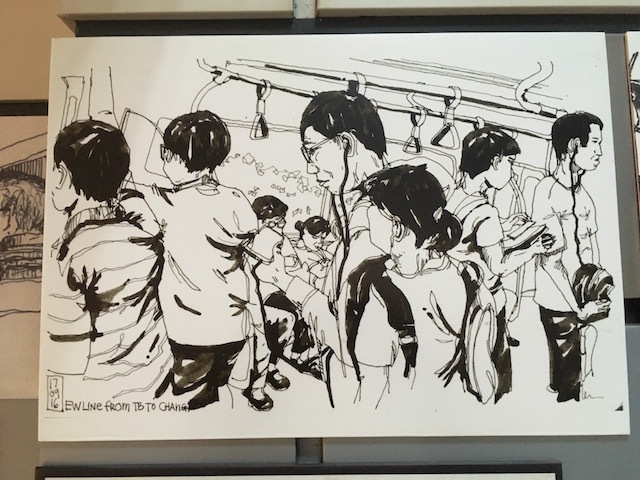 What's to like about the Copic Markers SKBK9X12 Sketchbook? The extra smooth paper in this Copic Markers SKBK9X12 Sketch Book provides excellent blending with no streaking. The paper preserves beautiful color produced by Copic markers. What's not to like about the Copic Markers SKBK9X12 Sketchbook? Despite its claim of being bleed resistant, unfortunately we found in several instances that the pages do bleed. However we can easily solve the issue by inserting a paper between the sheets. The Leda Art Supply The Perfect Premium Medium Sketchbook is designed to be the sketchbook that you take with travelling. It has a compact, portable size, and a flexible waterproof cover that lays flat like a paperback book. It also has an expandable pocket, and an elastic band to either keep the cover closed or to keep your pages open, as needed. It's meant to be your go-anywhere sketchbook. 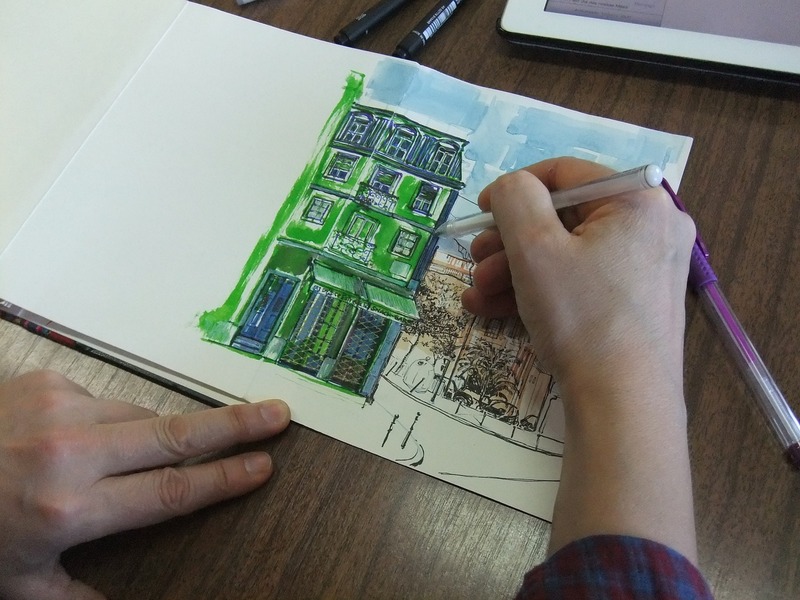 The sketchbook is compact, with the size of 8.25 x 5.5 inches. It has 160 pages of 81-pound/130 gsm cream-colored paper that will accept a wide variety of media. The expandable pocket will store images, notes, loose pages, and other items. Also worth noting tha if you do purchase this sketchbook (by clicking the button below or clicking the image above), Leda Art Supply will donate a portion of the purchase to a worthwhile cause: Art With Heart. Art with Heart is a organisation that aims to help kids facing trauma or adversity through art (check their website for more details). What's to like about the Leda Art Supply The Perfect Premium Medium Sketchbook? 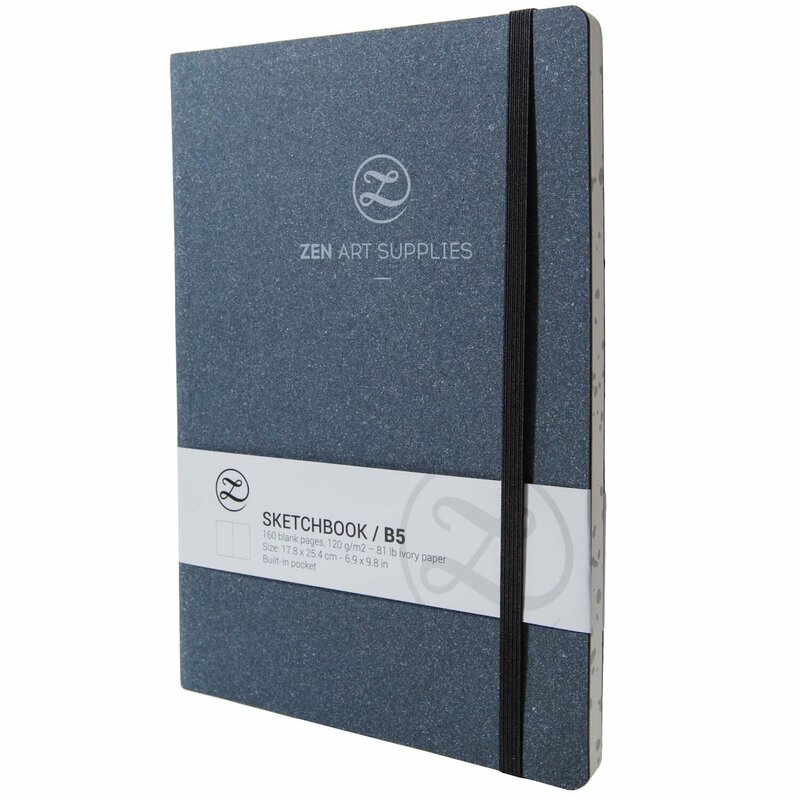 This informal sketchbook is perfect for carrying around and using when inspiration strikes. The PU leather cover is weather proof, the pages are thick, and the surface is versatile, the creamy pages accept Copic colors well. 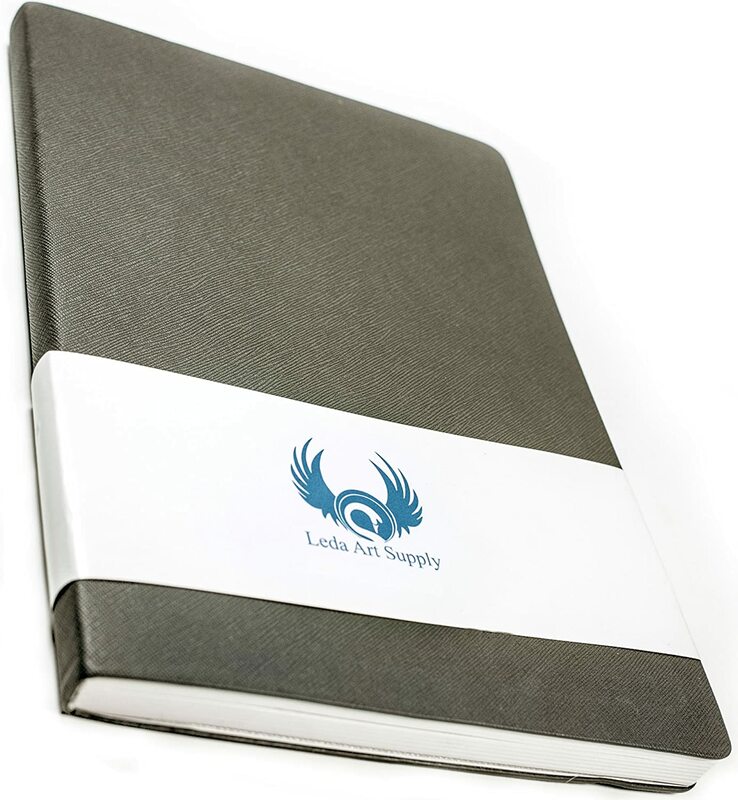 What's not to like about the Leda Art Supply The Perfect Premium Medium Sketchbook? As you may expect, some people find that Copic markers bleed through to the other side, and a sacrificial sheet of paper is necessary. 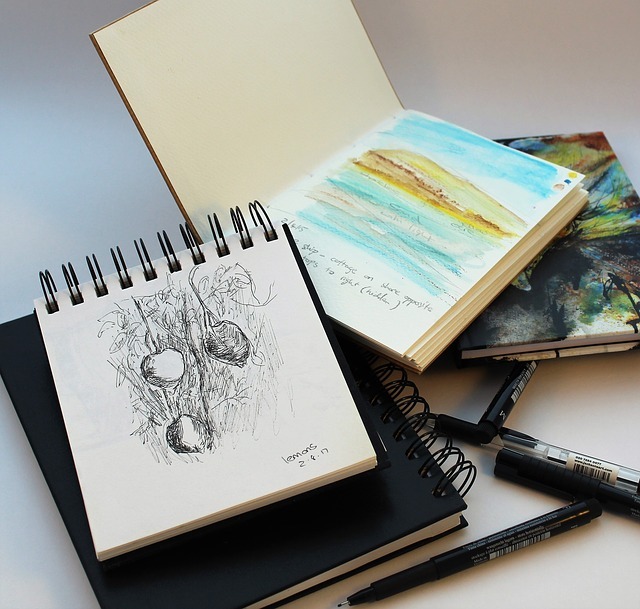 TheZenArt's B5 (7”x10”) Sketchbook Journal has everything artists are looking for in a sketchbook or portable art journal. The big 7 x 10 inch pages are large enough for landscapes or bigger drawings, but the stitched and glued binding also lays flat for two-page compositions. It has an inner pocket, two bookmarks, and a rugged cover to go anywhere. The cover is made of durable engineered leather, handmade with biodegradable and recyclable materials. It has an elastic band, an inner pocket, and two bookmarks so you can stay organized while you create. The heavyweight 120 gsm paper is acid free and ivory colored, smooth enough for Copic markers, and thick enough to not bleed through. The binding lays flat, and it has a 100% money back guarantee. 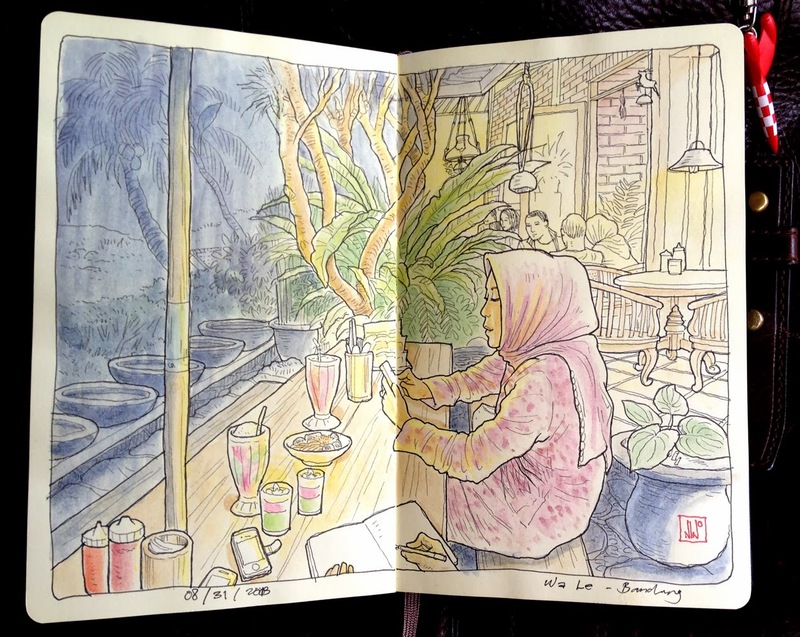 What's to like about the ZenArt's B5 (7”x10”) Sketchbook Journal? This sketchbook is excellent for Copic markers. The pages are thick enough to reduce bleed through, ivory white to take color and blend well, and smooth enough for clean lines. As with other sketchbooks we reviewed, some bleeding is to be expected - again simply putting a paper in between sheets will help with this issue. 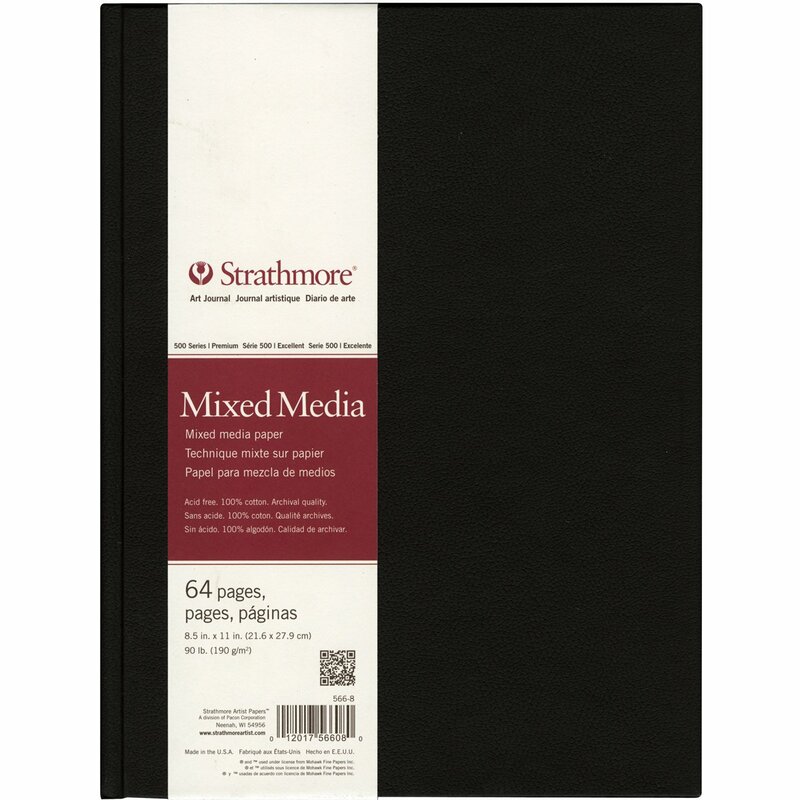 The sketchbook can also be used for watercolor and other wet media and holds up to erasing and adhesives. It's a great size, and the lay-flat binding allows for two-page compositions. The money-back guarantee makes it easy to love. 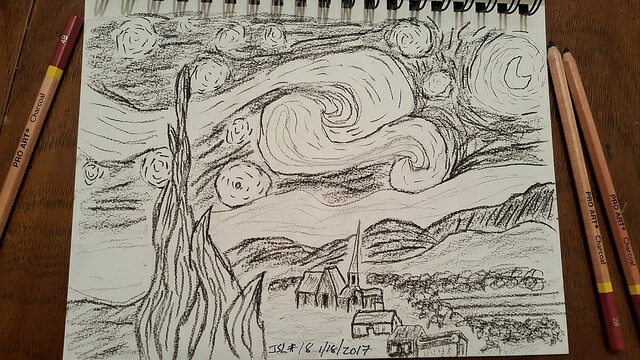 What's not to like about the ZenArt's B5 (7”x10”) Sketchbook Journal? 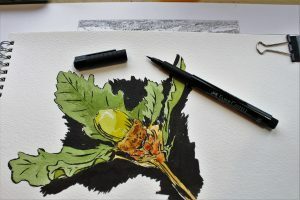 Searching for the best sketchbooks for copics can be a daunting task if you don’t know what to look for. 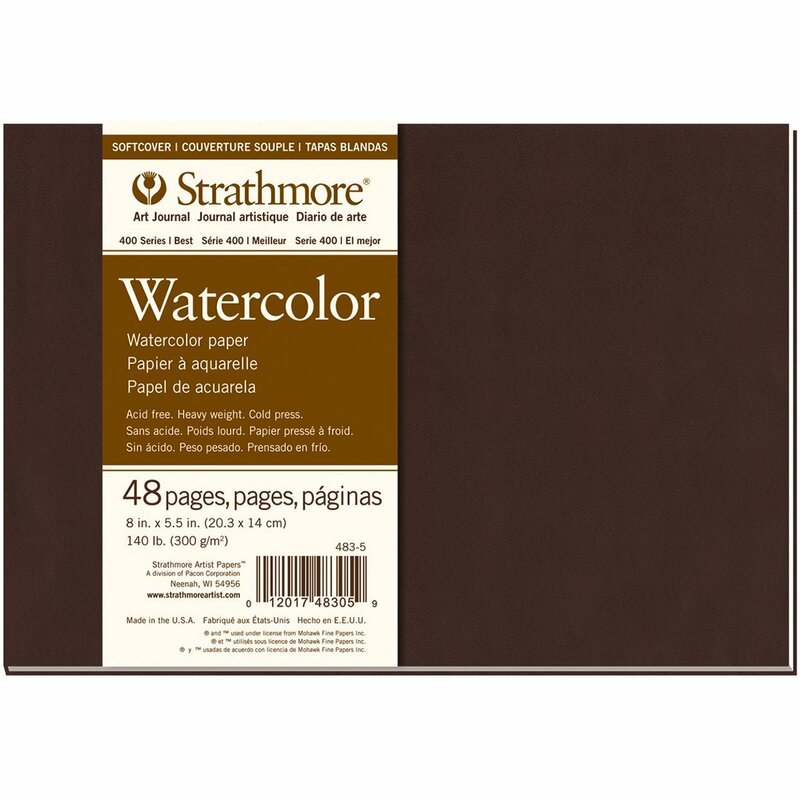 Any of the sketchbooks we have reviewed here are ideal for copic markers. 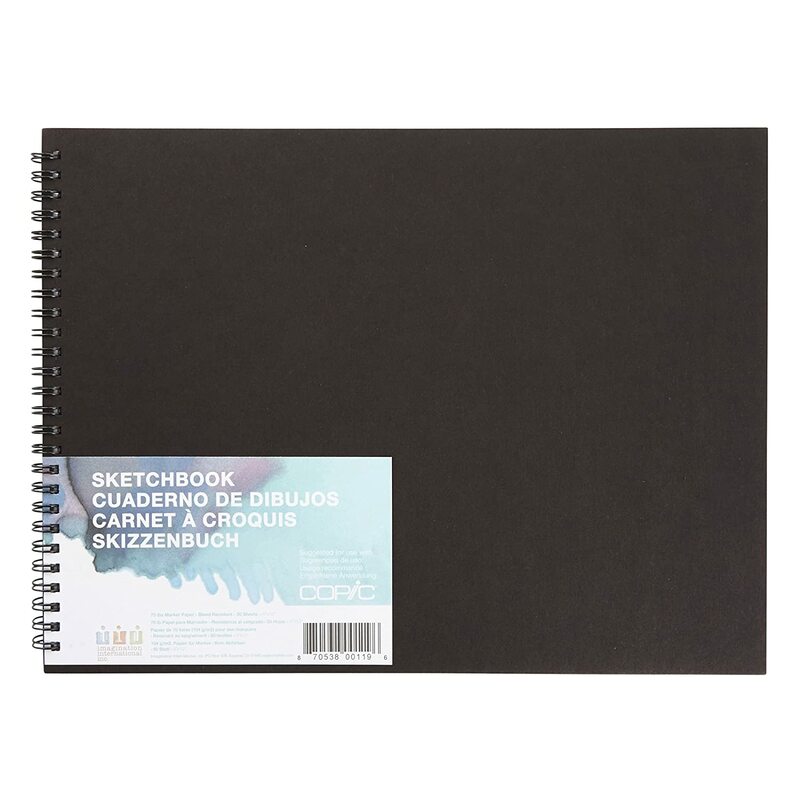 However, at the moment, Leda Art Supply - The Perfect Premium Medium Sketchbook is one of the top sketchbooks for copic markers, so you can’t go wrong with that sketchbook. We really like the fact that Leda Art Supply supports Art With Heart organisation, we wish more art supply makers do their bit for humanity too.